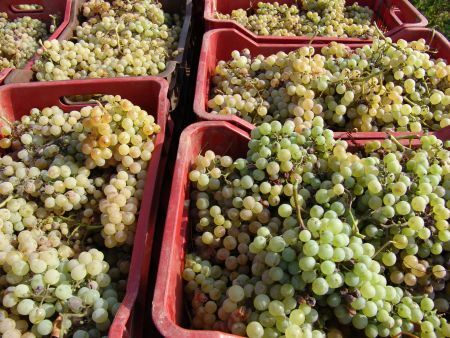 A good years crop has been harvested and is organically vinified to a number of wines, with wild yeast only to offer the special arid terroir of Attica region. 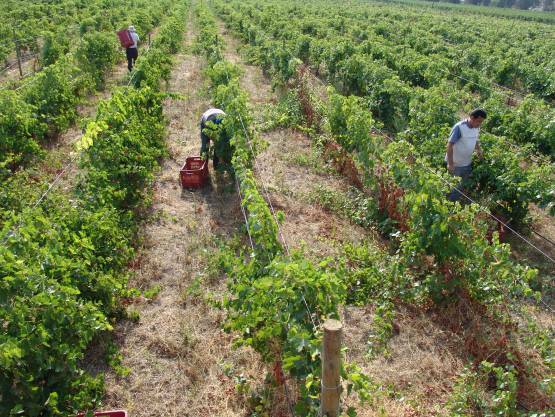 The benefit in small wine producers is that they can set the right pick up time for every vineyard. From the end of August we observe the development of the grape's characteristics as it ripens. The perfect balance between the Brix/Beaume values and natural acid and sugars are setting the actual picking time. This year's yield/crop was picked from the middle of August till the end of September. 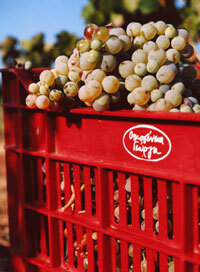 Grapes are hand picked one by one, whereas destroyed berries are removed. Carried in boxes to the winery, they are destemmed and cold maceration process is carried out immediately on the arrival. Press and must organic fermentation is slowly developed in temperature controlled environment with its own wild yeasts, in order to let develop the special terroir of Attica. All vinification procedures are fulfilling the strict organic wine standards.